Chiswick 21 October - Red Dwarf star headlines, Bob Crow and John McDonnell speak. Stand up for Labour returns to Chiswick's George IV pub on 21 October with a line up that includes a Red Dwarf star, a comedian who regularly sells out shows at Edinburgh and other festivals, the general secretary of the RMT and one of the most radical MPs in parliament. 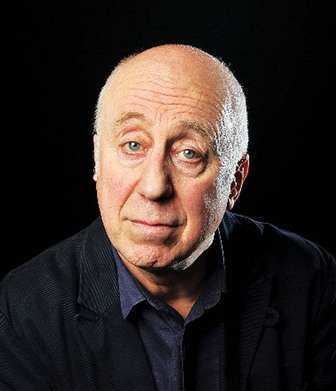 Headlining the show is Norman Lovett, known to many as the computer 'Holly' from Red Dwarf, who has appeared at the Comedy Store since its beginnings and is king of deadpan comedy. Adam Bloom is the opening comedian. He has been described as one of Britain's most inventive comedians and has been invited to comedy festivals across the globe. Sir Ian Bowler MP is a character act who plays a Conservative politician who represents Buckland & Ruttington constituency and has been described as 'an angry masterpiece' by the Radio Times. Paul Ricketts completes the line up of comedians. Paul has emerged as a headline act in the past few years following a number of successful Edinburgh festivals. He is prone to point out the absurd ideas of the media and politicians of all parties. One day after the TUC demonstration against austerity the night welcomes Bob Crow, one of the most outspoken critics of the government's austerity programme and someone who has been vilified by the media for the work he does to support the members of his union. Also speaking will be John McDonnell, the former deputy leader of the GLC, a former candidate for the leadership of the Labour Party and the MP for Hayes and Harlington. John is one of few MPs who have spoken up for the rights of disabled people in the face of ATOS tests and a lack of representation in parliament.